To be amongst leading enterprise software and business solutions provider not only in the Indian sub continent but world wide by 2015. By continuously learning and implementing new, better technologies and processes in our software and business solutions development. By providing our clients with solutions that are innovative, value for money, robust and suitable .By making differences to lives of people (clients, employees, Financiers, partners, vendors)and letting them experience the POINTERITS WAY of doing business. POINTER IT SOLUTIONS Found by first generation entrepreneurs, Headquartered in Hyderabad in the IT services domain. POINTER IT SOLUTIONS is an assemblage of multifaceted software professionals, programmers and disruptive thinkers who apply their capabilities in engineering analysis, application design and product development to the needs of clients in a variety of industries, ranging from consumer durables to aerospace engineering. We provide a range of IT services Specifically Application Development,Maintenance,Web Designing,Hosting,Payment Gate Way Integration Services,Educational Portal,Travel Portals,Seo/Sem Services,Bulk SMS Providers,Content Management,Brand Identity with utmost care we deliver the valuable diamonds in terms of your requirement. Excellent Customer Service:At Pointer IT Solutions we are committed to deliver superior services. We use customer centric business model to serve our customer in providing high quality services. Learning:we feel learning is a continuous process essential for growth as a professional and as human beings. Creativity & Innovation:we constantly explore unconventional ways for achieving better results. Integrity:we believe in conducting ourselves in a honest and ethical manner with clients, vendors and each other. Empathy: we realize that the best way to interact with others is by putting ourselves into their shoes and seeing things from their perspective. Pointer IT was selected by NASSCOM, India’s premier trade body for the software and services industry, as one of the Top 50 Emerging IT Companies in India for the year 2009. NASSCOM’s Emerge 50 is an initiative to identify and honor emerging companies that are redefining the benchmark of excellence. Pointer IT Solutions, your favourite IT Solution Provider celebrates the harvest festival with its Clients,Employees,Well Wishers,Students! 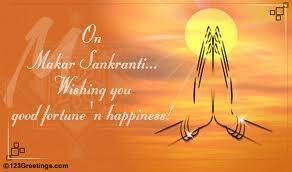 Sankranthi, a four day harvest festival celebrates the crops in India and is one of the biggest festivals in the south. This year, Sankranthi will be more exiting than ever for Pointer IT brings to you some of the best Applications that's sure to enthuse the festival spirit within you!